Be my guest in my hometown, Antipolo! 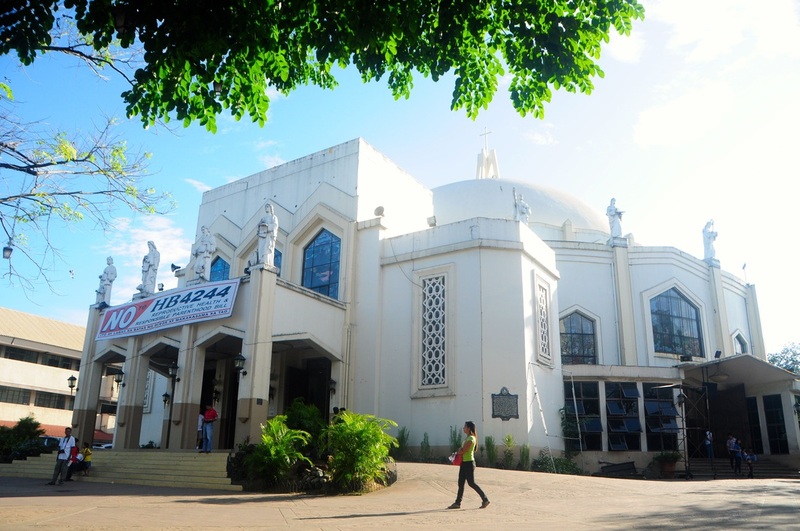 Follow me as I take you to the Shrine of Nuestra Senora Dela Paz y Buenviaje or commonly known as the Antipolo Cathedral. You can choose to celebrate Mass here or simply pray for peace and good voyage to the miraculous Birhen ng Antipolo. 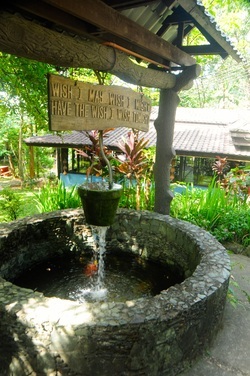 About 30 minutes away by car from the city center of Antipolo, be transported to a Spanish era church in Boso Boso with wild vines and plants on top of it. First built by the Jesuits in 1700 then ravaged by earthquake, fire and war throughout the years. Now it was restored offering Sunday services to parishoners. 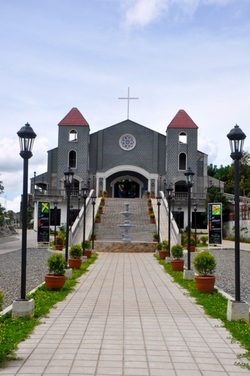 The Transfiguration of Christ Parish is relatively a new parish in the Diocese of Antipolo, having been canonically erected on December 12, 2012. The parish church is located along ML Quezon St. Extension, Brgy. 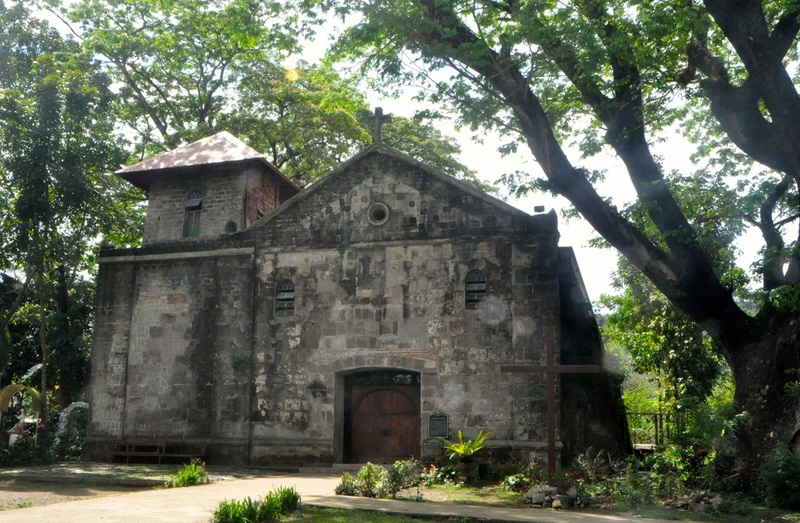 San Roque, Antipolo City. 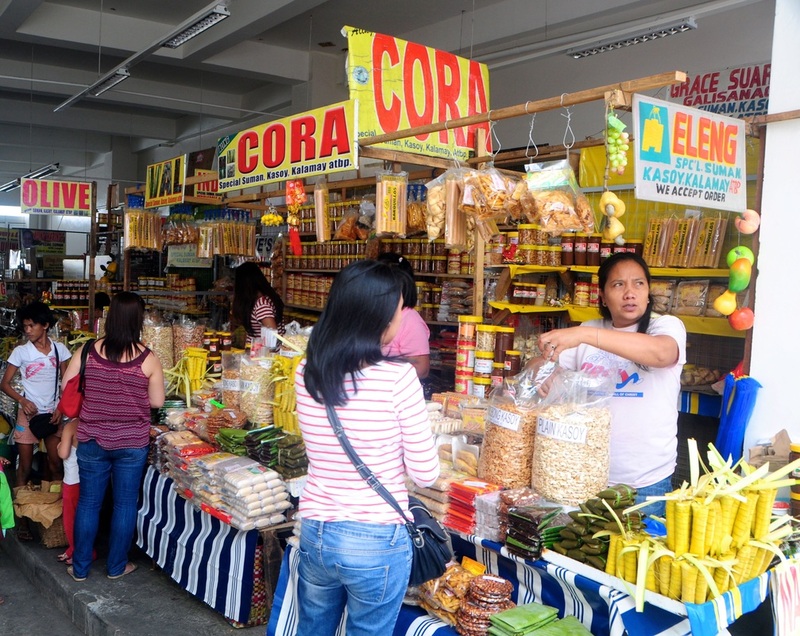 Taste native Antipolo delicacies such as suman, kasoy and kalamay at the newly renovated Pasalubong Center. Bring home some goodies for your families and friends. Prepare your bayong or eco-bag though as the City Government of Antipolo does not encourage the use of plastic bags when shopping. Appreciate architecture as we visit the seat of government of Rizal Province. This Greco Roman architecture inspired building was inaugurated in 2009. 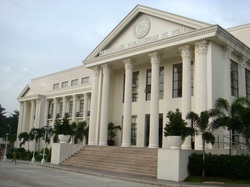 The New Capitol was transferred from Pasig City to Antipolo City, bringing back the Capitol Building to its provincial territory after being absent for almost three decades. Take a leisure walk at Loreland Farm Resort and enjoy the commanding view of the majestic Laguna de bay and Metropolitan Manila. 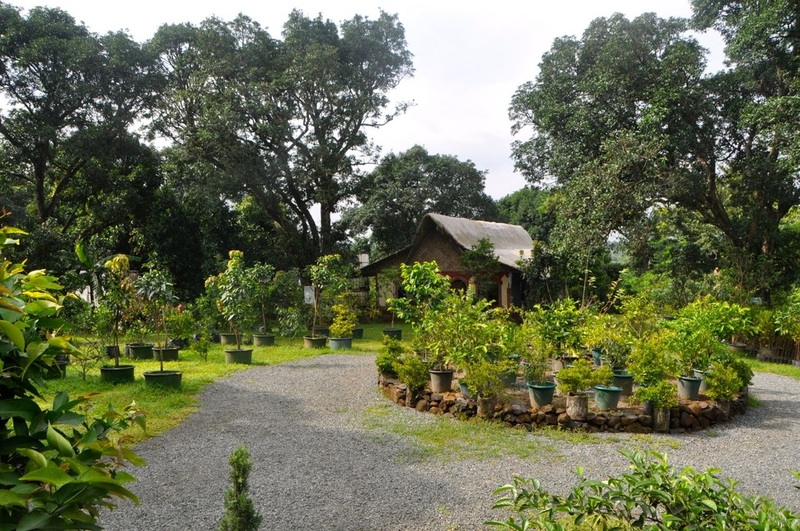 Here you can also find trees which made Antipolo famous - Manga and Kasoy. 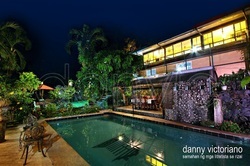 Established in 1996 by an enterprising couple, this 8 hectare resort is now equipped with room accommdations, function halls, swimming pools, sports and recreation facilities, teambuilding facilities, restaurant, spa and chapel ideal for family get togethers, corporate events and special functions. Situated within Loreland Farm Resort is Camp Tipolo Adventureland, a haven for leisure and adventure seekers, where various activities are at arms reach for everyone to enjoy the bounty of nature and experience outdoor at its best. Hear sounds of natural flowing water, the humming of the birds and the gush of fresh air which brings balance and inner peace. Truly a place where you can play and be a child again or just be still, reflect and enjoy the mountain scenery and old fashion life setting. Pamper yourself in a sanctuary and outdoor setting with the view of Manila skyline. Have a relaxing stay here and choose from a wide array of spa services from foot and body massage to having your nails and hair done. You work hard all week, don't you just deserve a little break? Several decades of devotion to art and culture has led to this haven of creativity. 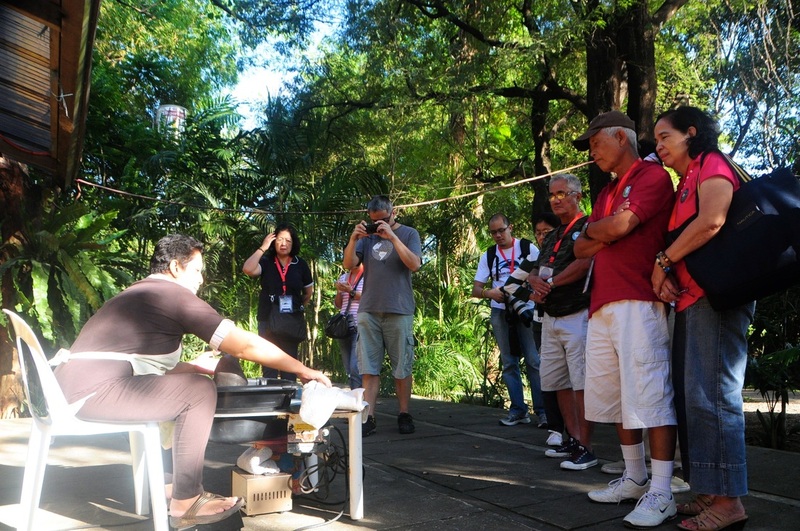 Silangan Gardens, a one hectare plot of land, is the home of the Silangan Foundation for Arts, Culture and Ecology, a non-stock, non-profit foundation spearheaded by Dr. Joven Cuanang. Already a highly respected neurologist, he went beyond the bounds of his medical practise to support Philippine art and culture. 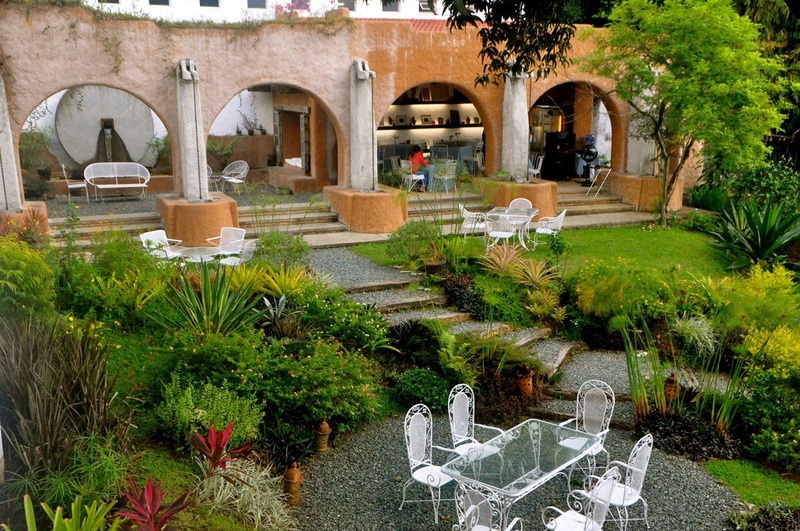 Pinto Art Museum is the newest addition to the Silangan Gardens. This architectural complex, designed by artist Antonio Leano, is composed of interweaving exhibition spaces. He employs an open plan and makes use of high ceilings which are reminiscent of colonial Spanish architecture. - excerpts from Markia B. Constantino's Unwrapping PAM's Present. This hidden gem of Antipolo is the pioneer of restaurant/pottery concept in the country. Here you can learn basic pottery with Ms. Lanelle Abueva-Fernando, a very talented potter who specializes in functional, handmade stoneware ceramics. After the eruption of Mount Pinatubo in 1991, Lanelle began incorporating volcanic ash glaze into some of her pieces. She supplies ceramic pieces to several restaurants, resorts and hotels in the country and abroad. You may also purchase some of her products at the shop. The Crescent Moon Cafe specializes in Southeast Asian food. It does not have an ala carte menu and the cook prepares what is fresh and available for the day. You may also try their specialities, alagaw appetizer and mango with suman for dessert. Definitely a relaxing place to enjoy dining away from the concrete jungle. Experience the tradition of fine Swiss Cuisine in Antipolo with magnificent sunsets and a breathtaking view of city lights. This romantic ambiance is a perfect venue for dinner date to announce your wedding or engagement proposal. Vieux Chalet is your Home Swiss Home in the Philippines. The Hassig couple, Mr. Tony and Mrs. Susan opened their home in 1984 to people in search of an adventure not too faraway from home. Their dream was to put up something that offers an alternative lifestyle to people needing to take a break from the hustle and bustle of the city. Did you know that Santa Claus lives in Antipolo? Yes he is! 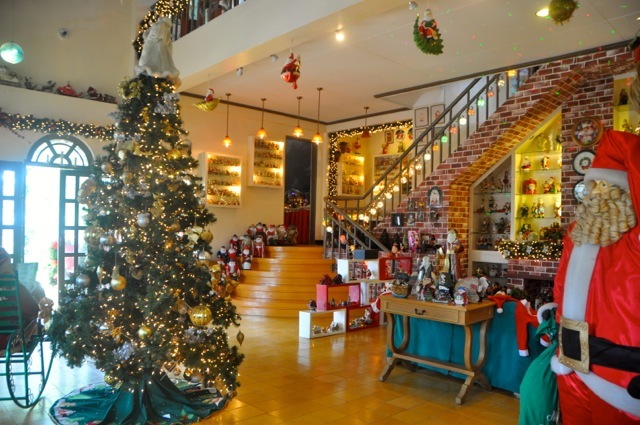 Experience Christmas all year long at Casa Santa. Be captivated by the wide collection of Christmas arts and crafts from all over the world. 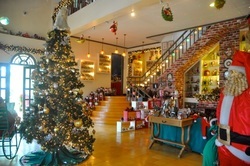 This is not just a place for kids but for adults who can't get enough of Christmas mood. Casa Santa started out as a small personal collection of Jardin De Miramar's owner and it grew in size until it needed a house where the Santas could live. The Casa Santa was converted from a family rest house into a museum of Santa Claus collection in 1995. Explore flora and fauna at an exclusive school. The Sisters of Assumption Antipolo wishes to raise concern for environmental awareness to its students, community and visitors. 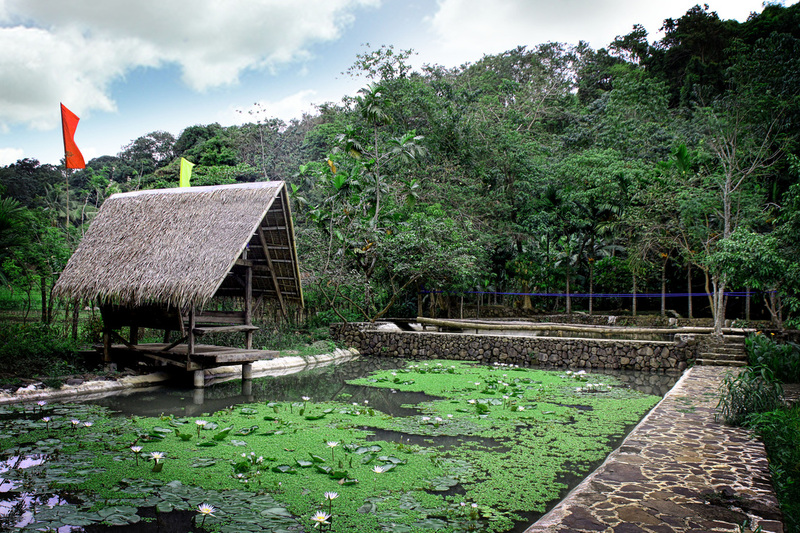 PACEM Eco Park provides the experience of nature's beauty where it houses a wide array of Butterfly and Shell Collection, Mini-Forest ideal for family picnics, Wildlife Sanctuary and Aviary, Butterfly Garden, Herbal Garden, Organic Farm and Green House. After a tiring yet fulfilling walk of the park, have your snacks or lunch at Cafe Bonne Sante. 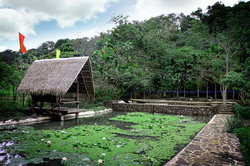 Within the compound of former MMLDC is an Aviary which is a sanctuary to more than 500 exotic birds and fowls. The Aviary represents the Center's steadfast commitment in helping the environment by taking care of these wonderful creatures. Knowledgeable and friendly Aviary personnel guide and brief them on relevant information such as species, common and scientific names, origin, distribution and habitat of these fascinating birds. Who told you that farming is not cool? Without farms, there would be no food on the table. At the garden of Ms. Doris Irog, you can learn more about Organic Farming, Vermiculture and Hydroponics. Ms. Doris is a hands on Agriculture Advisor and Communicator who started natural farming in 1994. Since then she has been sharing her expertise in soil management and farming ideas. Her hope is to be able to mold people's way of thinking towards acceptance of "going natural" as a mindset which all lead to healthy life that ensures longevity, happiness and an environment that is safe and clean. The convenience of modern living is right next to your doorstep. Visit the Village Corner at Beverly Hills. Do your grocery at Shoppersville, have your nails done at, try new clothes at Daria, appreciate art at Gallery Grey and of course have your superb sweet endings at Mrs. Q's Cakes and Moonleaf. I assure you Mrs. Q's sweets are delectable.